The U.S. Supreme Court today upheld the constitutionality of Maryland’s groundbreaking No Representation Without Population Act, which counts incarcerated people as residents of their legal home addresses for redistricting purposes. 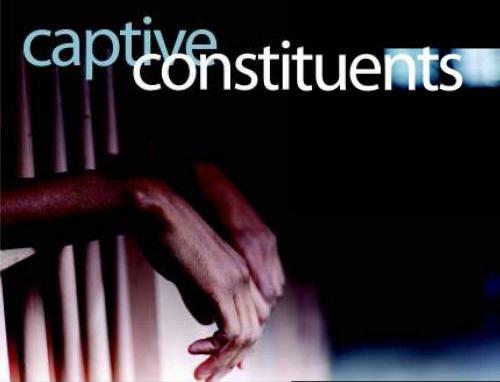 The 2010 law was a major civil rights victory that ended the distortions in fair representation caused by using incarcerated persons to pad the population counts of districts containing prisons. As the amicus brief … makes clear, the Act was the product of years of work by groups dedicated to advancing the interests of minorities. The Supreme Court’s ruling is a huge victory for the national campaign to end prison-based gerrymandering. This decision sets an important precedent that will encourage other states to reform their redistricting laws and end the distortion in fair representation caused by treating incarcerated persons as residents of prisons. These distortional effects stem from the fact that while the majority of the state’s prisoners come from African-American areas, the state’s prisons are located primarily in the majority white First and Sixth Districts. As a result, residents of districts with prisons are systematically ‘overrepresented’ compared to other districts. Today’s ruling by the U.S. Supreme Court affirming that Maryland’s law both meets constitutional requirements and was fairly implemented will hopefully encourage the Census Bureau to change its policy on where incarcerated people are counted in the 2020 Census. This article was prepared on Monday. On Wednesday, the Assembly passed the plan and it is now on the Governor’s desk awaiting signature. The Wisconsin legislature is rushing through a redistricting plan so they can lock in the maps before the scheduled recall elections can change who has the power to draw district lines. In that rush, prison-based gerrymandering is poised to have an even greater impact on state, county and municipal districts than it did a decade ago. The Census Bureau counts Wisconsin prisoners as if they were residents of the communities where they are incarcerated, even though they can’t vote and remain legal residents of the places they lived prior to incarceration. Crediting thousands of people to other communities has staggering implications for Wisconsin’s democracy, which uses the Census to apportion political power on the basis of equally-sized state and county legislative districts. Wisconsin’s 53rd Assembly district has the highest concentration of prisons in the state. The 53rd District claims 5,583 incarcerated people as residents of the district, even though state law says that incarcerated people remain residents of their homes. All districts send some people to prison, although some districts some districts send more than others. But not all districts have prisons, and concentrating 23,000 prisoners in a handful of districts enhances the weight of a vote cast in those districts and dilutes all votes cast elsewhere. In Wisconsin, this impact is largest in District 53, where without using prison populations as padding, the district would be 10% below the required size. This gives every 90 residents of the 53rd district the same influence as 100 residents of any other district in the state. If that seems insignificant, consider that the Supreme Court allows districts to have populations that are 5% too large or small if the state can protect some other legitimate state interest by doing so. The federal judges who have for decades drawn Wisconsin’s state legislative districts have had an even higher standard, allowing only a 1% deviation from strict population equality. The Republican majority of the legislature which drew the new districts took an even higher standard in the Assembly, drawing districts that are, by Census counts, no more than 0.4% too large or small. The state Assembly is not the only part of Wisconsin to raise the ante on prison-based gerrymandering and draw districts more distorted than they did a decade ago. In our previous research, we found some of the most dramatic examples of prison-based gerrymandering in the country in Wisconsin cities and counties. With two notable exceptions, counties appear to have been unable or unwilling to find a solution to competing state laws that indirectly require them to use the unadjusted Census numbers and engage in prison-based gerrymandering. The two exceptions are Dodge County, and the City of Waupun. These communities did something clever: they split each large prison between 2 or 3 neighboring districts. Those districts still get credited with an incarcerated population that actually resides somewhere else, but the size of the vote enhancement in any individual district is smaller. And by extension, this reduces the extent to which votes are diluted in other Dodge County or City of Waupun districts. With Dodge County and the City of Waupun finding solutions, albeit partial ones, the mantle for the most dramatic examples of prison-based gerrymandering is likely going to fall to Chippewa, Juneau, and Waushara counties, all of which saw new prisons built or expanded over the last decade, and all of which appear to be drawing individual county districts that are more than 50% incarcerated. In each of these counties, if you live next to the prisons, you’ll get twice the influence over the future of our county as residents who live elsewhere. That’s not fair. It likely violates the federal constitution’s guarantee of equal representation, and it certainly doesn’t make any sense. We concede — when fairness and logic aren’t enough to avoid prison-based gerrymandering — that it is technically possible to draw a district that is half incarcerated. One town in Iowa had a district that was 96% incarcerated, until citizens intervened. So what are we watching for at the Prison Policy Initiative headquarters? We’re waiting to see how the cities of New Lisbon and Stanley draw their city districts. There, unless they take action, they’ll be faced with drawing districts that are more than 100% incarcerated. This impossibility could produce some of the most dramatic examples of prison-based gerrymandering in the country. Will those cities follow the state legislature’s blind rush into prison-based gerrymandering and end up drawing one or more City Council districts with no voters? Stay tuned. Wisconsin cities and counties where relying on the Census for redistricting creates serious problems for democracy after the 2000 Census. (We also looked at Oshkosh City in Winnebago Co., Fond du Lac City in Fond Du Lac Co., Allouez Village in Brown Co., and Sturtevant Village in Racine Co., but these cities and villages are not affected because their local government is elected at large rather than from districts. Marquette County’s districts were not affected by the prisoner miscount because the county and state concluded that the census erred in placing the Federal Oxford prison in Marquette, when it is actually located in Adams County.) This table is updated from Importing Constituents: Prisoners and Political Clout in Wisconsin with the downsized districts in Fond du Lac County.